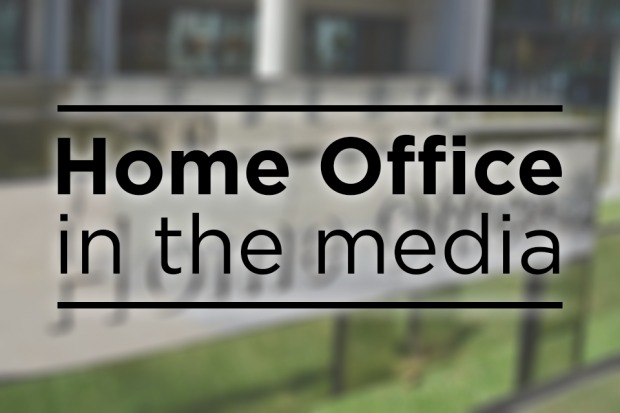 The Home Office Immigration statistics published today (22 February) have shown that the UK is more than half way towards meetings its commitment to resettle 20,000 people through the Vulnerable Persons Resettlement Scheme (VPRS). The latest quarterly Home Office immigration statistics show that 10,538 refugees have been resettled on the VPRS, one of the largest global resettlement programmes, since it began. Earlier this week, the Home Secretary Amber Rudd visited a refugee camp in Lebanon, meeting families who have fled the war in Syria and speaking to officials from the UNHCR, the UN Refugee Agency, who work closely with the Home Office to resettle families to the UK. As a country we can be proud that we are over half way towards honouring our commitment of resettling 20,000 of the most vulnerable refugees who have fled Syria by 2020 so they can rebuild their lives here in safety. Nearly half are children and more people are arriving every month. This week I went to Lebanon to see for myself the human impact of the Syrian conflict and talk to refugees about the challenges they face. I met a family who is due to be resettled in the UK and heard first hand how important the resettlement scheme is and how it helps individuals, who have fled danger and conflict, to rebuild their lives. For further information, journalists can contact the press office for a copy of the press notice. The latest set of net migration statistics was published today by the Office for National Statistics. The figures relate to year ending September 2017. We are committed to controlled and sustainable migration - bringing net migration down to the tens of thousands. This means an immigration system that attracts and retains people who come to work and bring significant benefits to the UK but does not offer an open door to those who don't. Net migration remains 29,000 lower than it was a year ago and once we leave the EU we will be able to put in place an immigration system which works in the best interest of the whole of the UK. At the same time, we have been clear that we want EU citizens already living here to have certainty about their future and the citizens' rights agreement reached in December provided that.